Blair and Pedro’s fashion-forward Moss Denver wedding was full of super cool vibes. To start, Blair rocked a Berta wedding dress with a cape and we seriously can’t get enough of it! This elegant and modern dress went perfectly with Blair’s classic and glamorous hair and makeup done by Serena Guzman and Stephanie Holmlund. For the ultimate timeless look, Pedro and the rest of the wedding party dressed in black and looked as chic as ever. From Blair and Pedro’s busy schedules, they turned to Calluna Events to help in planning their dream wedding! From the many candles and lush Lale Floral greenery, the reception space was the perfect mix of modern and classy. Photographer India Earl captured Blair and Pedro’s wonderful wedding day! We knew from being in other weddings and stories from our friends that the process can be incredibly stressful on the relationship, friends and family. We knew that we did not want to burden our friends and family, so we set off to do it ourselves. However, we quickly realized working 60-80hr weeks and planning a wedding was not feasible. We were stressed and needed help, that was when we reached out to Calluna Events, which ended up being one of the best decisions we ever made. From the moment we met our wedding planner, Francesca, we knew the weight was lifted off of our shoulders and we had the support that we needed. Our relationship, friends and family didn’t take a toll in planning the wedding and that was what was most important to us when planning the wedding. Our most memorable part of our day was definitely our first look. We went back and forth about whether we wanted to do a first look and we are so glad that we did. We were so filled with emotion and to see each other in our wedding attire, Pedro in his tuxedo and I in my dress, was overwhelming but also calming. The few minutes that we got to share alone were precious and something that we will never forget. Our officiant Joel, did a phenomenal job. He had us both write the story of us (which is a nine year story), he then took both versions (which you can imagine had a little different perspective) and melded them together. It was so special to share our entire story with our guests, as most of our friends and family only knew bits and pieces. It was so special to reminisce and share our journey to remind us of how we got here and the commitment we were making to each other and our future. You can tell from the photos, that there was a lot of laughter and many, many happy tears. 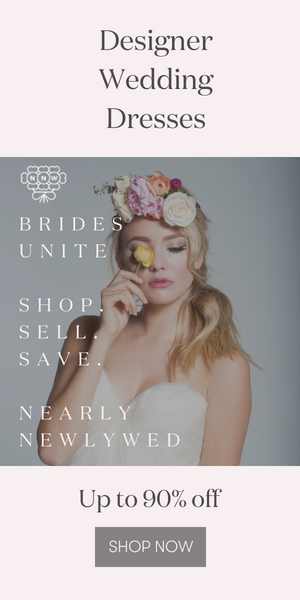 If you haven’t already allocated a portion of your budget to a wedding planner, you NEED to! It was the best investment and worth every penny. Our planner Francesca, exceeded all of our expectations. She kept us sane when we were crazy, made us laugh when we were stressed, and kept us on track with vendor deadlines. The piece of mind that she gave Pedro and I allowed us to relax and fully enjoy our day. I didn’t have a style inspiration, but I did see the gown on Instagram and fell in love immediately. I knew that would be the dress, as I had a gown with the same silhouette that I loved. The cape however, was not planned and a complete surprise. When I went to try on the dress, the Berta trunk show was at the bridal salon and the cape was draped over another dress. The moment I put the cape on with the dress I knew that it meant to be. I never had envisioned wearing a veil, the cape was grand, beaded, sparkly and most important, different. It was so me. I loved my entire look – my Berta gown, cape, flowers, hair, makeup, shoes and stunning Maria Elena earrings. It was exactly how I imagined, glam, timeless and reflective of my personality. Congratulations to Blair and Pedro on their wedding, and thank you to India Earl for sharing their fashion-forward wedding with Junebug! If you loved this modern vibe, then be sure to check out this classy butterfly inspired wedding at the industrial Strongwater Columbus. Absolutely stunning day. Blair and Pedro make the sweetest couple. I LOVE Blair’s shoes, dress, earrings…really I can’t pick one thing I don’t like about this breath taking day. Congrats to the happy couple! Oh my goodness this wedding is so lovely! Every detail is perfect, especially that dress. But most of all, were obsessed with the amount of natural joy and love you can tell that have together.